How will he know us? Not long ago I was traveling out of town for a wedding at which I was to preach, in Williamsburg, where I went to college. I was staying in a hotel that happened to have a lovely, sunny courtyard where I pulled up a chair and reviewed the notes for my sermon and did some reading. As I sat there, I realized that there was a familiar face at a table on the other side of the courtyard. I was certain I knew the face but it took me a while to attach it to a name. But it was not someone I had known in college, so although the face matched perfectly the forensic files in my brain, something didn’t make sense. This was a high school teacher from Connecticut (wasn’t it?). What was he doing at a hotel in Virginia? And how could I be sure that my visual file and name file were properly matched? I sat there in the sunny courtyard, now only pretending to read, glancing over the top of my book, as I tested the theory over and over in my head. Is it him? It can’t be him. It sure looks like him. What would he be doing here? Shouldn’t he look older than he does? Am I in the right town? Eventually – and I mean after, like, an hour, not just a few minutes – I decided to take the risk. I rose from my seat and strode over to him – all casual confidence. “Aren’t you Bob So-and-so?” I asked. Since that chance encounter I have seen photos from a high school reunion that I couldn’t attend, and while they were not all photos of my classmates, I can tell you I didn’t see a single face that I recognized, and I’m sure there must have been at least one or two from my vintage – I know there were! How will I know you when I see you, down the line? How will you know me when you see me, many years hence? What if I have lost weight? What if you have!?! Will you know me, years from now if our paths should part and then cross again? Will I know you? In a subtle way this is the question that Jesus is planting in the minds of his disciples during the tenth chapter of Matthew’s gospel that we have been reading for the past few weeks. How will you know me many years hence? How will I know you? Will my Father in heaven, who has been watching us work and talk and eat together, recognize you as one of my old friends? You will be different, for sure. You will be heavier, greyer, bald-er. Maybe you will be unrecognizable at the gates of heaven. Maybe Jesus will be different too – maybe he will have shaved his beard, and finally cut his hair. How will he know us when we come to him? How will we know him? I think the reason Jesus plants the seed of this question in the minds of his disciples is because he wants them to start practicing what they will look like when they get to heaven before they get there. How will we know one another when the time comes, and everything is different, and it’s very, very important that we are recognizable to the one who knows even the number of hairs on our heads? How will we know him; and how will he know us? We have to practice what we will look like when we get to the gates of heaven. In a way, that’s what the tenth chapter of Matthew’s Gospel is all about. We have been hearing parts of it for the past few weeks as Jesus gives instructions to his disciples for their missionary work. “Take no gold, nor copper… no bag for your journey, … nor sandals… Behold, I send you out as sheep in the midst of wolves…. He who finds his life will lose it…. He who receives you receives me.” We can think of these as ways of practicing what they will look like when they get to heaven. Because it changes you if you travel around doing God’s work with no money, no bag, no sandals. It changes you if you are willing to be a sheep in the midst of wolves and not put on a wolf’s clothing. It changes you if you are willing to lose your life for Jesus’ sake. It changes you if you greet everyone as though they might be the Christ in disguise. What would we look like if we lived this way; if we practiced what we will look like when we get to heaven? Of course, this is not a question of standing in front of a mirror, or of ordering the right clothes from a catalog, or of finding bargains on line. It is a question of hearing Jesus’ call to carry out his mission in the world: this is how he tells his disciples to practice what they will look like when they find him beside the Father’s throne. And carrying out Christ’s mission is also the way we can practice what we will look like, if we want to be easily recognizable, when we find ourselves reviewing our performance evaluations with St. Peter beside us. About five and a half miles from here (which Google maps estimates would takes us 17 minutes to drive in 10 steps, but I’m sure we could eliminate two of them), at an intersection where West Hunting Park Avenue crosses West Clearfield Street, less than a mile from the Tasty Baking Company, overlooking Laurel Hill and Mt. Peace cemeteries, is a little parish church that was founded a year before Saint Mark’s and before even the cemeteries were there. The parish of St. James the Less is named for the other James mentioned in the New Testament (not the one who is regularly found with Peter and John). In its graveyard are buried the Wanamaker family (except Fernanda, who is buried here at Saint Mark’s); Catherine Fiske, who gave the beautiful red doors of this church in memory of her husband Louis, who rests there with her; Agnes Irwin, the great educator who founded the school that now bears her name, and who was the first dean of Radcliffe College; and a host of other bishops, soldiers, captains of industry, and luminaries of 19th century Philadelphia. The beautiful church and its graveyard are surrounded by stone walls. Across the street stands a rambling old rectory and a large parish house that has been converted to house a school that no longer operates. No worship has taken place at the church for two years now, since the parish that was there chose to leave the Episcopal Church and was forced, by court order, to abandon the property under the circumstances. A caretaker keeps the lawn and trees in check, and unlocks the gates for infrequent visitors. Beyond the churchyard walls there stretch out neighborhoods of Philadelphia that bear little resemblance to the church’s lovely immediate surroundings or to our own parish’s neighborhood. Poverty, drugs, single-parent households, and lousy schools characterize reality for many, many folks in North Philadelphia. When I discovered that the Diocese of Pennsylvania was considering leasing out the Rectory and Parish House of Saint James the Less to be converted to artists’ studios, I balked at the notion of this sacred ground being re-purposed for such a mundane use in the midst of a city desperately in need of the mission of the gospel. “Well, what would you do with it?” I was asked. I answered: I would take up the mission of the Gospel, and use the resources there to let the Gospel change people’s lives. I would adopt Saint James the Less as a mission parish of Saint Mark’s – after all we have founded missions before, built them from the ground up. I would do what it takes, by finding partners to share the work. I would get people praying in the church again, get children learning in the parish house again, and playing on the playground again. I would put together a team of people who hate to see the resources of the church slide into decay. I would practice there what I want to look like when I meet Jesus in the day of judgment, and I would help other people practice too. Now, I said all this in a slightly more detailed way, around a conference table, with stern faces looking at me. I may have even sounded impatient when I said it to the powers that be. I said it in writing, and I made presentations. I copied sermons of mine and handed them out. I gave them facts and figures about the neighborhood. I tried a hard sell once, and a soft sell the next time. And I don’t know that I had much hope, since we happen to be a church that is preoccupied with its own internal scandals, and stumbling over its dysfunction. But I asked. And do you know, during this past week, those powers that be called me up and said to me, “OK, if you’re so smart, give it a try.” And they have agreed to allow Saint Mark’s to adopt the Church of Saint James the Less as a mission of our parish And so, it would seem that I have committed you, my wonderful brothers and sisters in Christ, to a missionary life. We have been jolted into that old reality, that it had seemed the church forgot, when a parish church could take on a mission. 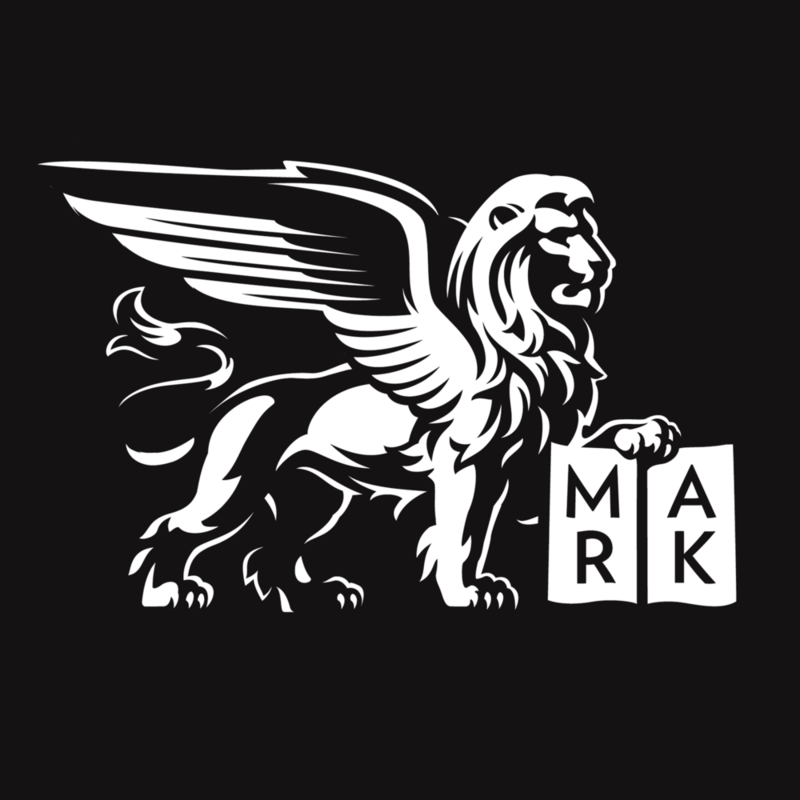 (Saint Mark’s founded two or three missions in its earliest decades.) And now we have been called again to assume the missionary role that this parish wore so well in the 19th century as part of our 21st century heritage. We are being sent with no gold or copper or sandals or bag or staff; we are being set loose, like sheep in the midst of wolves. We are being launched into a great missionary journey of exactly 5.5 miles, as the Google-crow flies. I have some ideas abut what this journey might look like. But there will have to be much prayer, much discussion, and many partners gathered before the shape of things to come for this new mission will be known clearly. But I believe that this is an opportunity for all of us at Saint Mark’s and anyone who wishes to join us (and already I know that there are those who do) to practice what we will look like when we have to look Jesus in the face and account for ourselves. Because a church without a mission is no church at all. And a Christian who has never set out on a journey, (who has never been a pilgrim) has never given himself a chance to be changed (and may still be a sheep wearing his wolf’s clothing!). The missionary life is the church’s life, when she dares to risk her life – to lose her life, so that she may truly find it. How will God ever know us if we don’t respond to his call, even if it asks a lot of us? How will Christ recognize us as his old friends if we have not worked side by side with him, seeking his face in the face of others? And how will we know him, if we distance ourselves from his call to serve him by serving others, and the years pass by. Will Christ stare at us, matching the face to the name, but not at all certain what we are doing there, in front of him, and perhaps suspecting that we are in the wrong place? Will he wonder why we sheep tried to live our whole lives in wolf’s clothing? Will he think it's cheeky of us to want to be familiar with him at last only when the day is past and the work is done? How will God know us if we don’t allow ourselves to be changed, to be shaped by the work he calls us to do, to go where he tells is to go, to work in the vineyard, even if we arrive late, to strip off our wolf’s clothing and be a sheep in the midst of wolves? How will God know us if we don’t allow ourselves to be changed into the people he made us to be, by responding to his call, and carrying out his mission, and losing our old lives to take up the new ones that are shaped by his mission? And how will we know him, in the end, if we don’t practice what it might be like to stand nearer to him? Let us dare to take on the mission he calls us to, which is to really allow ourselves to be sheep in the midst of wolves, and to risk our lives for his sake. Let us dare to practice in a missionary journey of 5.5 miles, what we hope we will look like when Christ is looking for us. Posted on June 29, 2008 by Sean Mullen.